Monthly Action-Takers Offer (but only while they last)! 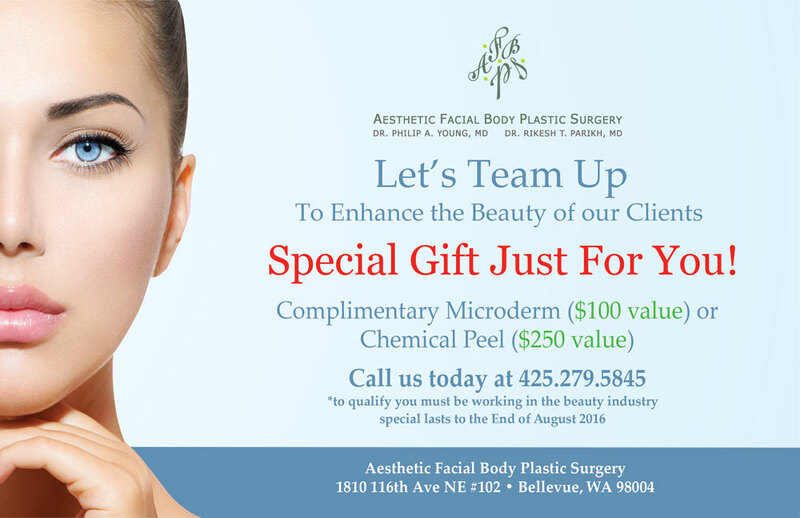 Call on the first of every month to book a complimentary Microderm or Chemical peel ($100-250 Value), BUT this offer is only available to the first 10 patients each month! If you get your next Botox® treatment within 6 months, we will give you $25 credit with a purchase of the next full area. If you get your next filler treatment within 1 year, we will give you $50 credit for your next first syringe. So schedule your next appointment after your next treatment! Ready to look more refreshed and rejuvenated? Click here to schedule your appointment today!